MBK Real Estate is a division of MBK Group, a real estate development and management company. In Bangkok And in the big city. 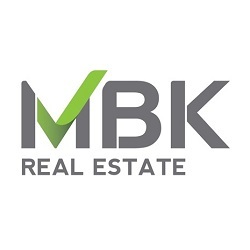 MBK Real Estate began the development and management of residential projects for more than 15 years, beginning with the development of housing projects in the city centre. In Phuket Under the management of Plan Estate Co., Ltd. by developing a housing project. Quality houses such as Sabai Village 1-2, Indie, Lock Palm Residence and Ban Suan Loch Palm. Later in 2013, the real estate development policy in Bangkok. 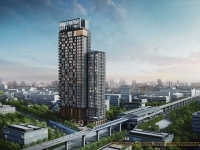 Starting from the development of the Quinn Ratchada 17 luxury condominium project in the heart of the new economic zone. In the best location on Ratchadapisek Road, and in 2016, we have developed the “Park Riverdale” quality single detached house project in Pathumthani. In 2016, MBK Real Estate Group has changed the development and management of real estate projects under the name of MBK Real Estate Co., Ltd. to support business expansion and development of new projects. Many potential projects in the future in Bangkok and its vicinity. In addition, the Company will continue to provide property management company maintenance and maintenance. Marketing and Sales To increase the value of the affiliate’s real estate. Its subsidiaries operate property management business and consultancy and valuation business.